Along with regular ripping options, DVD Magic Ripper offers conversion and backing up tools which could be helpful for those who want to make a copy of their DVDs and play them wherever and whenever they want. 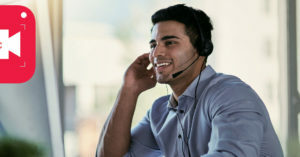 Although the software has lots of options for backing up and ripping DVDs, it lacks any video editing tools which many similar products in the market are equipped with – at least some basic tool for main tasks such as cropping, splitting, merging, and so on. Rip DVDs to multiple formats – Magic software enables users to easily convert their DVDs to popular media formats such as MPEG2, MP4, AVI, Xvid, DivX, WMV, etc. It’s important to note that in order for media to be playable in MP4 players or gadgets such as PS3, PSP, iPad, or iPod the MP4 format is mostly used. Hard drive copy – this option is especially helpful when backing up a movie DVD for later playing on hard drive is required. There should be no worries regarding the quality since the copied file will be of the same quality as of the original one. Convert DVD to SVCD or VCD – Many still has the old CD players which couldn’t play DVDs. In this situation a software such as Magic comes to help to make the DVD to VCD conversion. DVD compression – this feature is used for storing DVD data in discs with 4.7 GB of capacity. DVD split – using the application, DVD-9 discs could be copied into two DVD-5 discs. DVD restrictions removal – being it CSS, PuppetLock, Sony ARccOS, RCE, or Region, the program could remove all regular restrictions. 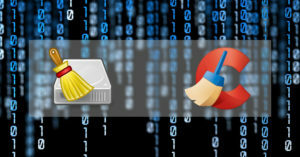 Magic ripping software comes with a list of profiles with different settings and adjustments for different devices. Users could simply select one of these profiles when ripping a DVD or create their customized profile with their own settings. Parameters such as bit-rate, video resolution, and codec could be adjusted which all have a great effect on the output file quality. 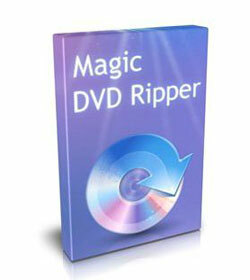 Magic software for ripping DVDs is available to download and install for both Windows and Mac systems. All Windows versions from XP to 10 (both 64 and 32 bit) could run the software. Also on Mac, the OS X 10.6 or later versions are supported by the software. The software could be downloaded for free to use in an evaluation period. Users could try the application for 5 times in this period with full access to all options and features of the software. After that, a license is required to be purchased. The price for a lifetime license with upgrades on Mac is $49.99. The same license would cost $49.95 or $34.97 (with no upgrades) for Windows systems. There are also some special discounts for buying this software along with other useful software from this company called Magic DVD Copier. Visit the official website for more discount and offers information. The program is constantly being upgraded for fixing the bugs, new devices profiles adding (such as iPhone 6), and adding new features and decryption files to the software. Lots of detailed and helpful articles and guides for using the software could be found on the website. And the support is provided only by email.